This report represents an advancement in the state of Soil-structure interaction (SSI) knowledge for practicing engineers. It provides a synthesis of the body of SSI literature, distilled into a concise narrative, and harmonized under a consistent set of variables and units. 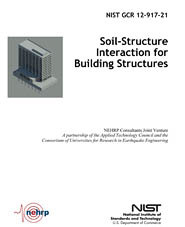 Techniques are described by which SSI phenomena can be simulated in engineering practice, and specific recommendations for modeling seismic soil-structure interaction effects on building structures are provided. The resulting recommendations are illustrated and tested, in detail, on realistic example buildings. This work is part of a series of investigations into the performance of engineered construction during the February 27, 2010, Maule earthquake in Chile. 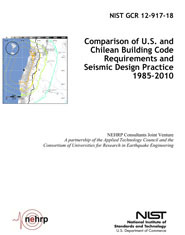 It is intended to provide an understanding of the similarities and differences between U.S. and Chilean seismic design codes and practices so that meaningful conclusions can be drawn from the observed performance of buildings in Chile, and that seismicresistant construction can be improved in the United States. 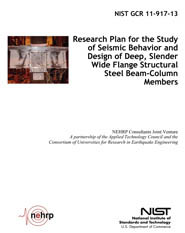 This report summarizes the scope of a recommended, comprehensive, long-range, experimental and analytical research plan to investigate the behavior of deep, slender wide flange structural steel beam-column members in seismic applications. 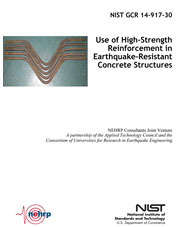 The results from this research are intended to be used in the development of nationally accepted guidelines for the seismic design and assessment of deep, slender wide flange beam-column members. While emphasis is placed on special moment frame systems, application to intermediate moment frames, ordinary moment frames, and beam-column elements in braced frame systems, may also be possible. 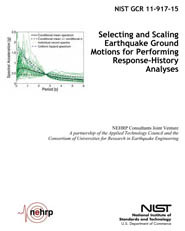 This report provides guidance to design professionals on selection and scaling of ground motions for the purpose of nonlinear response-history analysis. Gaps in the current knowledge related to selecting and scaling ground motions for seismic design and performance assessment are identified, and relevant provisions in current and recent ASCE/SEI Standards are explained and clarified. 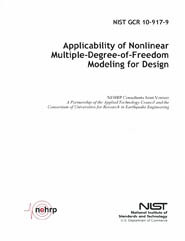 This report presents findings, conclusions, and recommendations resulting from a review of available research and practice regarding nonlinear MDOF effects, and focused analytical studies targeted to investigate selected issues related to MDOF modeling and response characteristics. The report is organized into two parts: (1) a main body of summary information and conclusions; and (2) supporting documentation contained in a series of appendices presenting the results of detailed analytical studies and findings from research and practice reviews. 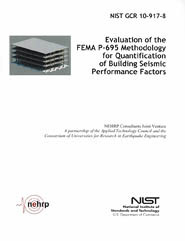 This report presents the results of expanded testing of the FEMA P-695 Methodology, summarizes findings and conclusions for the systems studied, and provides recommendations for possible improvement of the Methodology and further study related to the specification and use of seismic performance factors in seismic design codes and standards. 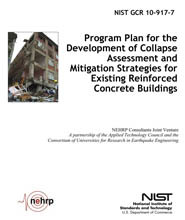 This report and the recommendations herein focus on cast-in-place concrete construction. While existing precast concrete buildings also pose a risk of collapse in earthquakes, collapse behavior of precast concrete construction is significantly different from cast-in-place concrete buildings. Given the substantial technical differences associated with segmented construction and precast connection vulnerability, treatment of precast concrete buildings has been excluded from consideration in this program. This exclusion is not meant to imply that additional study of the collapse vulnerability of existing precast concrete buildings is unimportant, or should not be undertaken. It is recommended that future funding be focused on addressing the risk of precast concrete buildings separately and specifically.